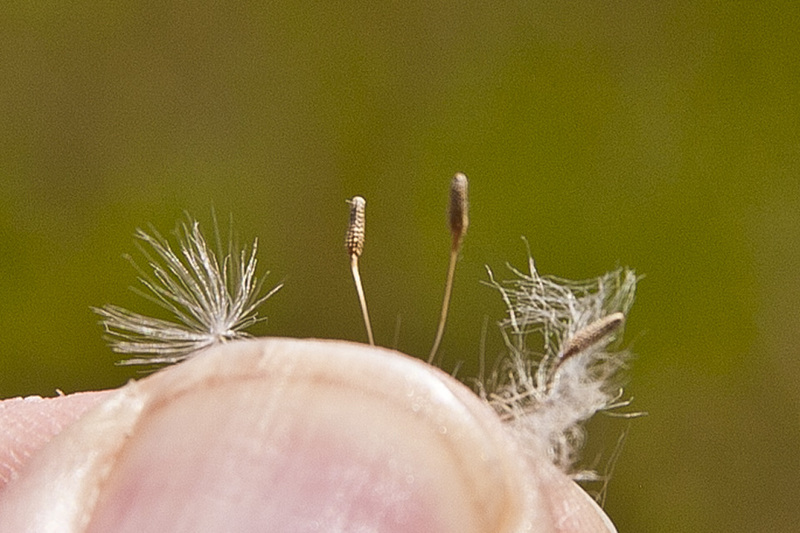 Minnesota Seasons - Cypsela or Achene? What is the fruit of a sunflower called? The answer depends on who you ask. 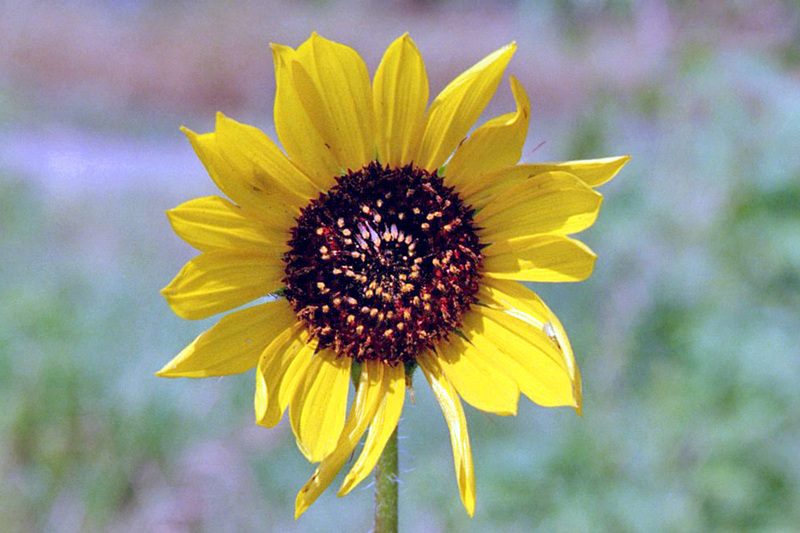 In common usage, the fruit of the sunflower is a sunflower seed; the hard, outer, protective shell is a husk; and the edible part inside is a kernel. These terms are correct for general usage. Botanists have their own terms for this and just about everything else related to plants. Unfortunately, they do not always agree. Sunflowers are members of the Asteraceae (Aster) family. Steyermark's Flora of Missouri Volume 2,42 in the description of the Asteraceae family, states that the fruit is an achene. According to Flora of North America,45 the fruits of Asteraceae are "technically cypselae, historically called achenes." Michigan Flora43 and Manual of the Vascular Plants of Northeastern United States and Adjacent Canada41 both use the term achene. The first use of the word cypsela for Asteraceae fruit was by Charles-François Brisseau de Mirbel. It appeared in an article titled “Nouvelle classification des fruits” published in the French scientific journal Nouveau Bulletin des Sciences in 1813. Mirbel defined cypsela as "a monospermic fruit that is crowned by the calyx". Stated another way, it is a single-seeded fruit formed from an inferior calyx. According to the indispensable Plant Identification Terminology: An Illustrated Glossary,44 a cypsela is defined as an achene fused to a calyx. The Angiosperm Phylogeny Website46 differentiates between an achene, formed from a superior ovary, and a cypsela, formed from an inferior ovary. However, it also defines achenes more broadly as "dry one-seeded fruits in general, whether formed from one or more carpels and superior or inferior ovaries." In this definition, a cypsela is a type of achene. The Brazilian botanist Juliana Marzinek, provided some clarification in a study published in 200847. Noting disparate uses in the published literature, Marzinek sought to clarify the terminology using morphological and historical factors. She concluded that achenes and cypselae are different types of fruits with different origins. 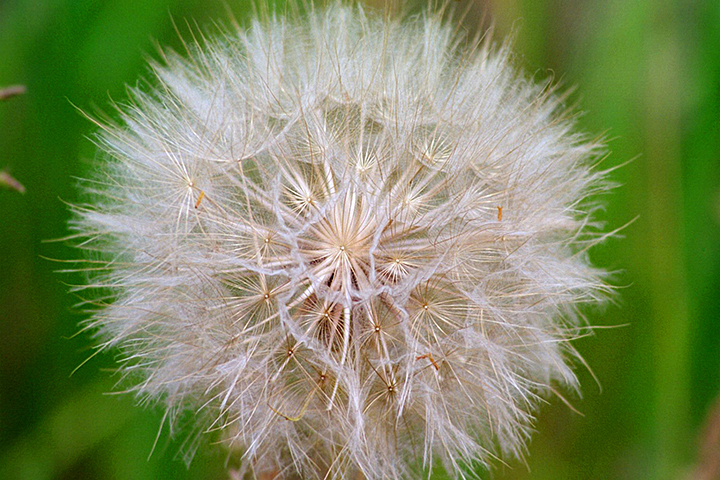 An achene is a dry, one-chambered, single-seeded fruit, formed from a single carpel, with the seed attached to the membranous outer layer (wall) only by the seed stalk; the wall, formed entirely from the wall of the superior ovary, does not split open at maturity, but relies on decay or predation to release the contents. A cypsela is a dry, one-chambered, single-seeded fruit, formed from a single carpel, with the seed attached to the membranous outer layer (wall) only by the seed stalk; the wall, formed from the wall of the inferior ovary and also from other tissues derived from the receptacle or hypanthium, does not split open at maturity, but relies on decay or predation to release the contents. The difference between a cypsela and an achene is the fruit’s origin. A cypsela is formed from an inferior ovary and may have a pappus, the modified calyx composed of awns, scales, bristles, or feather-like hairs, attached to one end. An achene is formed from an superior ovary and does not have a pappus attached. Sunflowers (Helianthus spp.) are in the family Asteraceae. All plants in that family have inferior ovaries. The fruit of a sunflower is a cypsela.